When a file is used or opened in Windows, it can not be deleted, replaced, or moved! ThisIsMyFile is an application that displays all locked or protected files and allows you to unlock them in a few clicks. Several ways to add the destination file or the destination folder. Thanks to the simplified layout and simple options, working with ThisIsMyFile should be easy. When a file is used or opened in Windows, it can not be deleted, replaced, or moved. Therefore, you must first look for the program that uses it and stop the process. Please always use ... the latest version of ThisIsMyFile! 2.) You must add the file that you want to unlock. 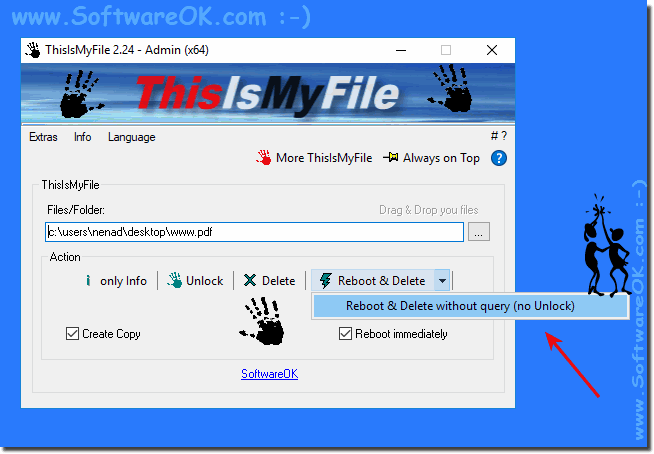 (Image-2) Unlock and delete Windows files! 3.) You can unlock a file or delete it completely from Windows. You can unlock a file or delete it completely. Alternatively, ThisIsMyFile can delete all selected objects and restart the computer to apply the changes. When a process is selected, a forcible termination option is displayed. Since it can delete or close a process, even system-related, it is advisable that only experienced users run it to prevent system crashes or data losst. 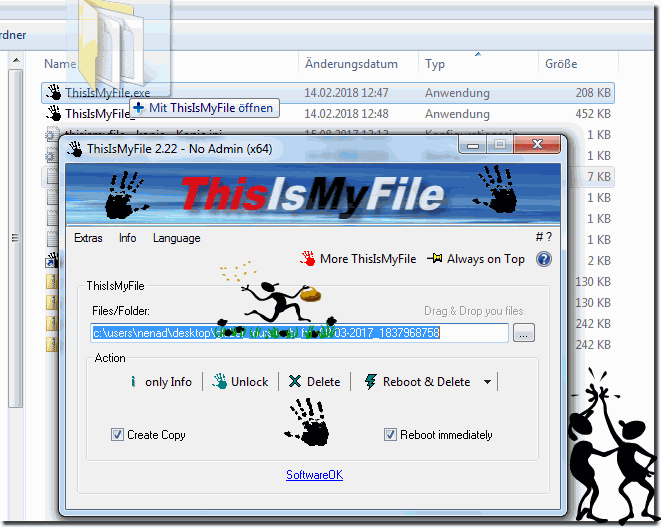 Unlock or delete used files with ThisIsMyFile can search the target file, or the selected folder, to detect files that are protected because another application or the system using them. If you only want to see a list of all these files, you need to select the Info only button. ThisIsMyFile tests all elements within the specified directory (if you select a file, only one element is checked) and displays a list of locked or protected objects along with the appropriate process ID, file type, and path of the process that locks it, and the name of the device. See also: ► for what, I am an expert and I know what I am doing? (Image-1) Unlock Files as an expert in Windows 10, 8.1! 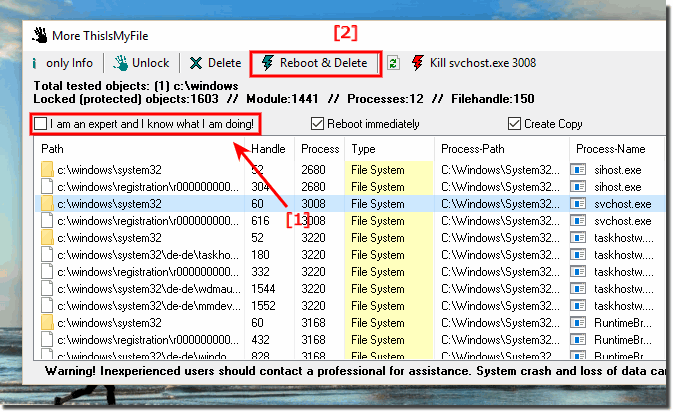 ThisIsMyFile - FAQ-5: Why unlock and delete Windows files?